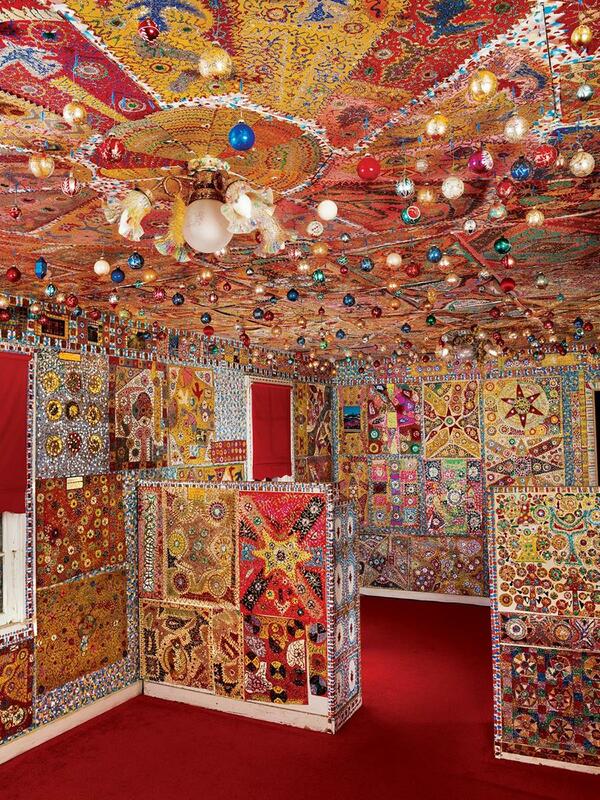 The John Michael Kohler Arts Center offers visitors the opportunity to observe, in real time, conservators working on the preservation and conservation of Loy Bowlin’s The Beautiful Holy Jewel Home art environment. The 4th Annual Outsider Art Exhibition, curated by Morteza Zahedi will take place at Dastan Outside, V-Café’s Basement FROM 4 to 9 pm, featuring works by artists Amir Kamand, Salim Karami (above left), Reza Shafali (above right) and sculptures by Hasan Hazer Moshar. On Hearing Thunder: Remembering The Mythic collaborates the work of Hugh Joudry and Terry Hauptman marking 40-years of artistic collaboration. 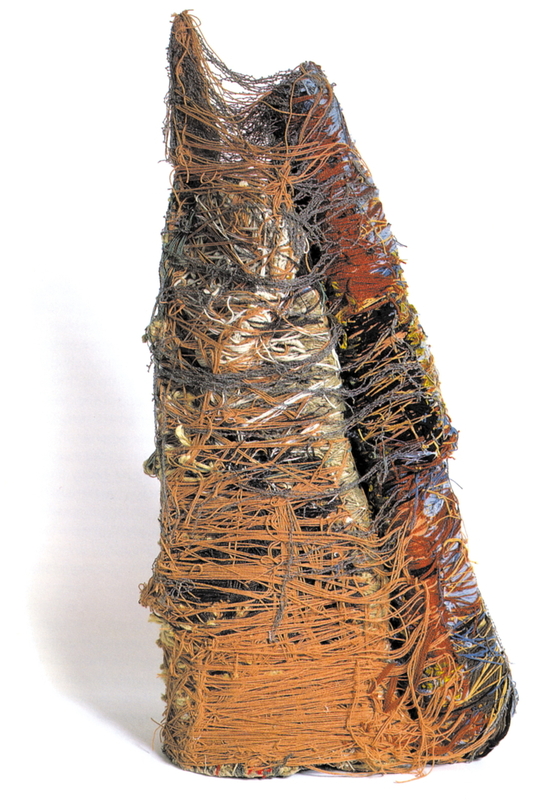 Image above: Judith Scott, Untitled, 1992, courtesy of Creative Growth Art Center, Oakland. Below: Portrait by Leon Borensztein. 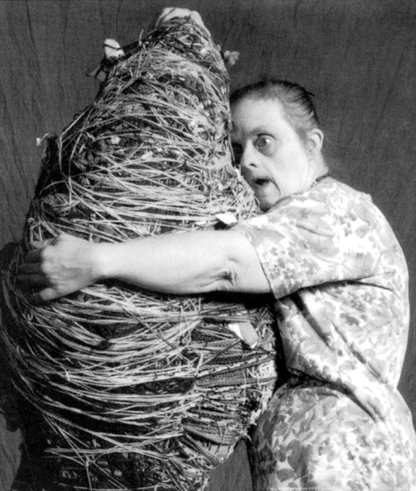 Judith Scott came from Cincinnati, Ohio. She was deaf, owing to her acute Down’s syndrome, and her use of language was almost non-existent. Until the age of seven, Scott lived at home with her parents, her brothers and her twin sister Joyce. For the next 36 years, she lived in institutions and homes for the severely disabled. It was Scott’s relocation to her sister Joyce’s home in California in 1986 which transformed her life completely. She enrolled at the Creative Art Growth Center and began her first pieces of the fabric-bound sculpture for which she is now known. The production of her creations began with an object which was then hidden inside multiple layers of spun yarn and twisted wool. 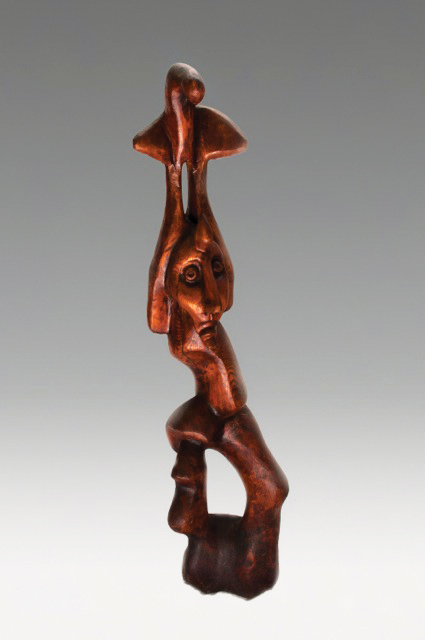 Some of her pieces can be identified as representing figures, sometimes two near-identical forms, perhaps demonstrating the concept of twins. 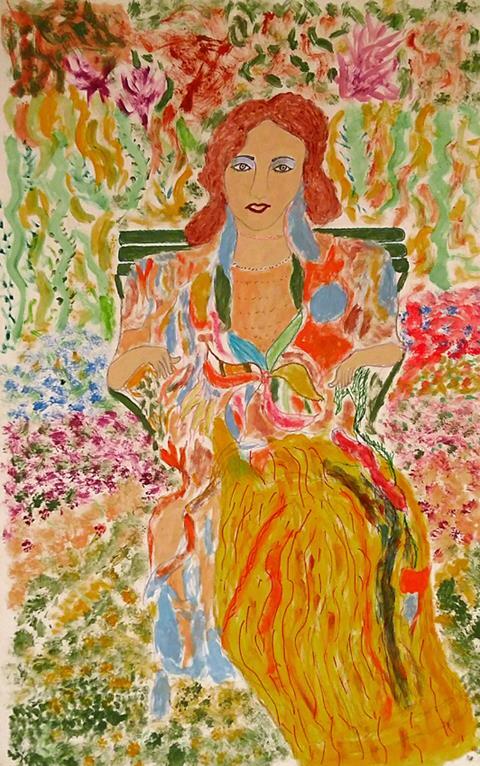 Other work is of a more abstract form, although critics and fans alike have been unable to ascertain the real meaning behind most of her work, because of Scott’s inability to communicate her inspiration. At the Center she would regularly hunt for materials and yarn and steal magazines and objects, hiding her findings in a bag. 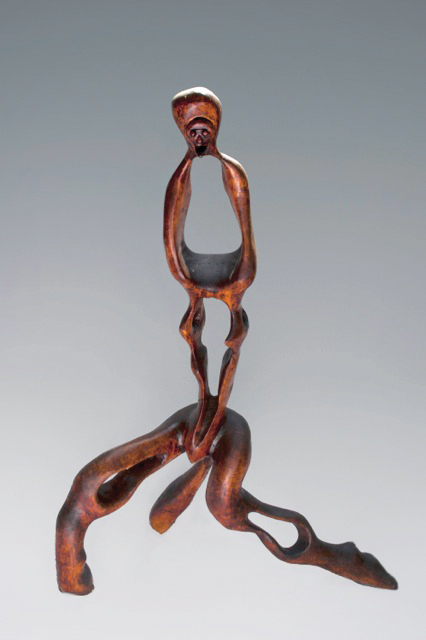 She worked compulsively and was dedicated to the creation of her remarkable bound sculptures. 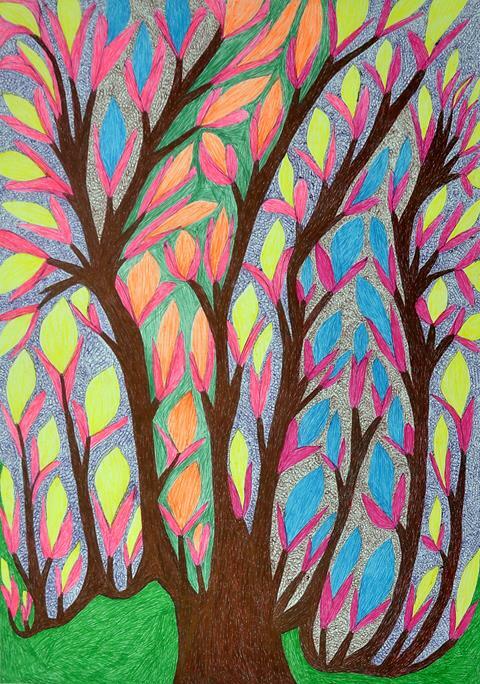 Read more in our Outsider Art Sourcebook and in Raw Vision 38 and Raw Vision 85. 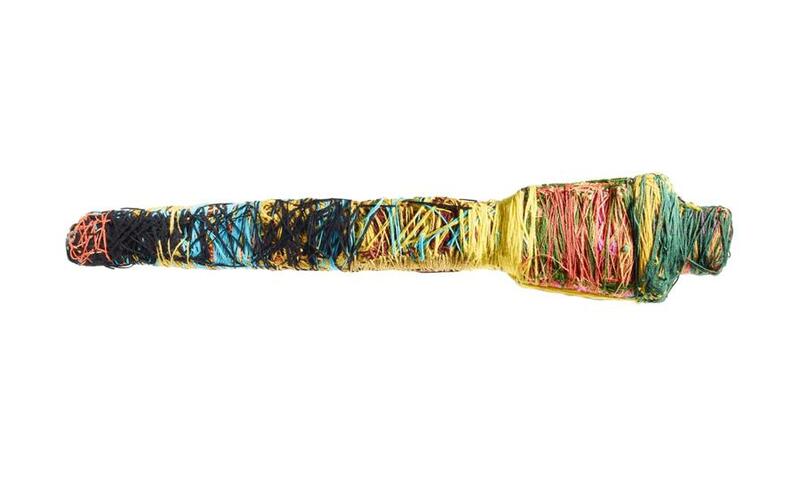 Images: Judith Scott, Untitled, 1992 and Untitled, c. 1991, both photos by Arnaud Conne, Atelier de numérisation – Ville de Lausanne, Collection de l’Art Brut, Lausanne.